Everyone loves the holidays, right? The sights, the smells, the food, they all bring back memories that most of us associate with fond memories from our childhood. Nothing quite beats waking up early on Christmas morning as a child to find that Santa has indeed found you to be worthy of the nice list this year. For those looking to sell their home this holiday season, this nostalgia can be leveraged into great selling points for a home. Here, at Portfolio Realty Group, our mission is to help our customers sell their homes in a timely manner while also receiving the maximum amount of money possible. Below, we have listed a few reasons that selling your home during the holidays can be a major benefit. As summer fades into fall, mother nature sheds her summer wardrobe to deal with the coming winter. While we don’t have to deal with much as a season change in Las Vegas, curb appeal is still important when selling your home. If you have plants in your yard that shed their leaves during the winter, it is important to accentuate other aspects of your lawn. Bare trees and shrubs leave the front of your home more exposed, so it is a good idea to make sure that your home’s exterior is looking fresh. Consider touching up any areas where the paint or siding looks faded, and take extra care in the appearance of your gutters. No buyer wants a home that looks shabby. The holiday season, more than any other season, is a time for decoration. 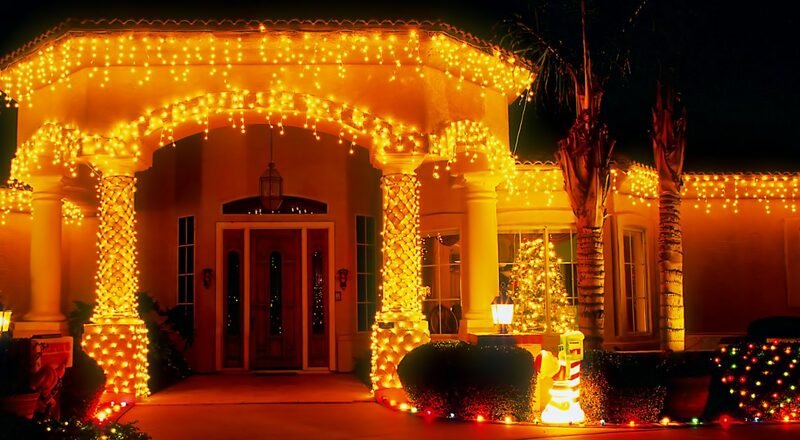 Tasteful decorations during Halloween, Thanksgiving, and Christmas can either make your house more appealing to a potential buyer, or cause them to think the house looks cluttered. When decorating this holiday season remember to go for subtlety. A well placed decoration can evoke nostalgic feelings in a buyer, but going overboard can make it difficult for them to see the home as “theirs”. Just remember, while you might enjoy the fact that your house resembles Clark Griswold’s, not every buyer will share your affinity for decorating. While the holiday season is a season for spending, this also means that potential buyers might not have the expendable cash they would at other times of the year. This isn’t to say that you should slash the price of your home in order to sway potential buyers, it just means that you should be aware of the financial mood of the season. Talk with a trusted agent, like those at Portfolio Realty Group, and come up with a game plan before you put your house on the market. Even if you get a few thousand dollars less than what you originally wanted, it’s better than having your home sit on the market. While selling a home is always a challenge, we truly feel that by following these simple tips you will be able to better sell your home this holiday season. Contact us today at Portfolio Realty Group, and let our experts help you come up with a plan to get your home sold.